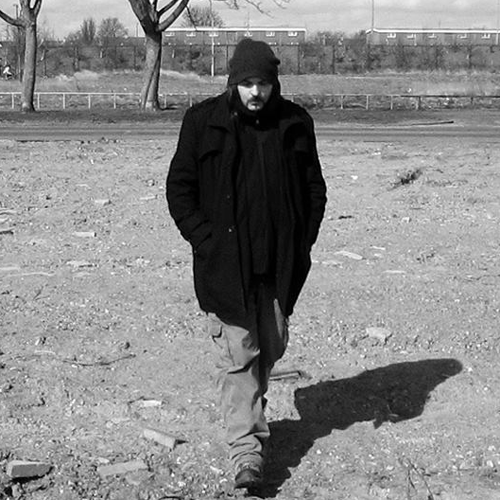 Patrick Walker from Edinburgh is a highly respected and accomplished DJ and producer who’s been in the Vanguard of UK techno since the late 90s. Not only as a solo artist but as part of the Forward Strategy Group collective he’s released material on some of the worlds best techno imprints, gaining much critical acclaim from both press and the worldwide electronic music community alike. As a teenager he was actively involved in the UK party scene which was built around the legendary clubs he frequented, namely Pure, Sativa, Lost and Test. From attending these luminary events it became second nature to start making noise himself which started him on his current electronic path. Since then, as a solo artist, he ’s built a strong connection with many emerging techno and electronic creators including Al Matthews (Bleaching Agent / Blacknecks) whom he paired up with in 2008 to form the label / production collective Forward Strategy Group. They soon burst onto the scene, firstly as an elusive and now highly sought after “buy on site” imprint and then secondly as a production team whose deep, dense & tangled sound spheres have captivated club dance floors across the entire globe, playing at some of the most notorious clubs and parties including Tresor, Berghain, Subclub and Corsica Studios. FSG’s hard edged and quirky sound resonated loudly with overwhelming support from the international techno community’s leading artists, including Surgeon, Luke Slater, Marcel Dettmann, and Ancient Methods. In turn, FSG along with their contemporaries are now inspiring many of the new wave of industrial noise freaks through their productions, along with informative, entertaining and often crushing DJ sets. As a solo artist and as part of the FSG, Walker has released on some of the most exciting labels in modern techno including Perc Trax, Stroboscopic Artefacts, Mord, Pole Group and Soma Records. He’s also collaborated on projects with artists Neil Landstrumm and Inigo Kennedy to produce an eclectic range of releases taking in steppy Miami bass, rave, deep experimental noise and upfront UK techno. This is one artist that never looks back …………… always forward.